Years ago, Bill O’Hara, then president of Bryant University, invited me to lunch to urge me to apply to Leadership Rhode Island. Though I was active in alumni activities at Bryant, my priorities at the time were career — I had my own accounting firm — and my growing family. Still, I listened intently to Dr. O’Hara, an LRI founder and ’86 alum. His pitch: LRI would be a transformative experience, one that would expand my horizons. I trusted him so much that I agreed to seek admission to the Theta class. It was 1988, the start of a renaissance of sorts for me. The LRI program connected me to people I did not normally encounter and opened my mind to issues and problems that I had never thought of or figured they were someone else’s responsibility to resolve. The experience changed me for the better. I became a better listener, better community member, better board member and better collaborator. I graduated with a heightened curiosity about the greater community, a determination to always seek the truth, and an evolving belief that positive change comes when people of differing opinions and perspectives seek solutions together. That belief is the reason I enthusiastically embraced the concept of Jeffersonian Dinners, one of LRI’s innovative ways to get diverse alumni together around the dining table to discuss state and community problems. So far, I’ve hosted three dinners and attended two others! These shared experiences strengthen human bonds, countering the tribalism that divides us. These bonds create a sense of community and the will to seek long-term solutions for the greater good. That belief is also the reason I respond to LRI’s annual appeal. 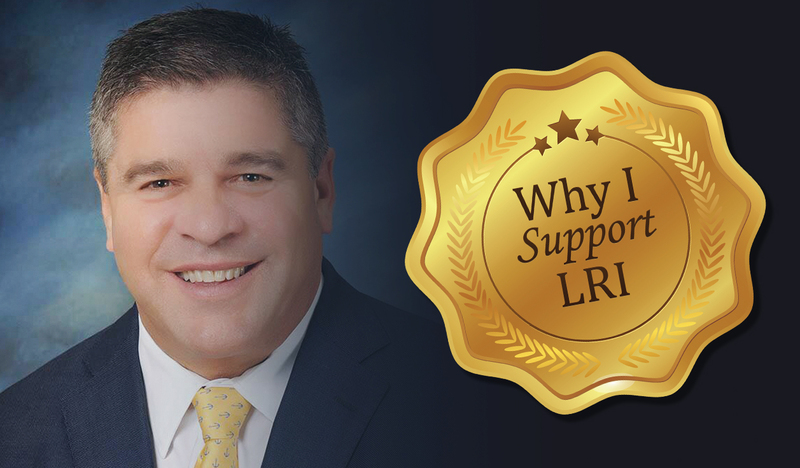 To me, investing in LRI is investing in the core program which produces new leaders, year after year, dedicated to making positive changes. Investing in LRI also is investing in its “post-graduate” activities that leverage the talent and treasure of more than 2,400 alumni. Contributing to LRI helps to amplify the voices of engaged leaders. As a fellow alum, I urge those who have never invested in LRI to consider doing so, and I challenge those of you who are already contributors to consider increasing your donations to a higher level. Donate before December 31, 2018 to help us finish the year off strong! Option 3) Donate right on Facebook! 100% of proceeds go directly to LRI.